This was decided after the prosecution represented by deputy public prosecutor Lailawati Ali withdrew the application to transfer the corruption case against Datuk Tan Eng Boon, 70, from the Sessions Court to the High Court. High Court judge, Collin Lawrence Sequerah, later revoked the application. Counsel Faisal Moideen, representing Tan, protested the prosecution's move to withdraw the application on the grounds that the defence had filed an affidavit in response to the application for transfer of the case to the High Court. On Dec 26, 2018, the prosecution filed a motion notification request to transfer the case to the High Court. On Nov 15 last year, Tan, who is also the director of a property development company, pleaded not guilty to allegedly giving a bribe as benefits to Tengku Adnan, 68, by depositing a RM1 million Public Bank cheque belonging to Pekan Nenas Industries Sdn Bhd into Tengku Adnan's CIMB Bank account. Tan was charged with the giving the bribe as a reward for Tengku Adnan’s approval of Nucleus Properties Sdn Bhd (now known as Paragon City Development Sdn Bhd) to increase the plot ratio relating to the development of Lot 228, Jalan Semarak, here. The offence was allegedly committed at CIMB Bank Bhd, Putra World Trade Centre, Jalan Tun Ismail, here on Dec 27, 2013. 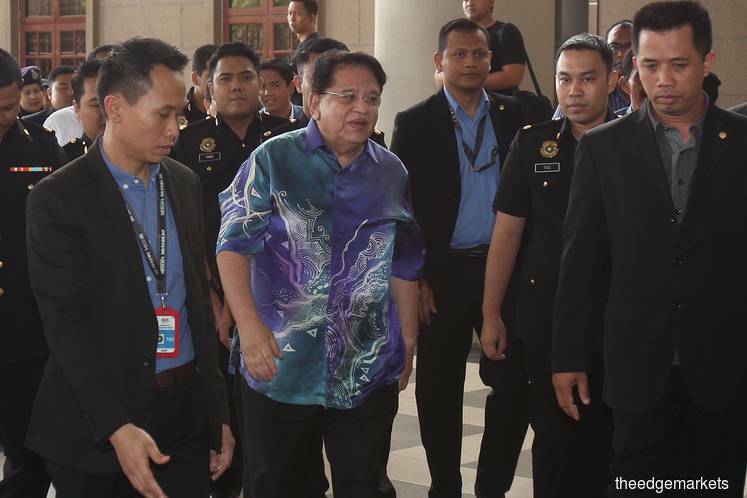 Tan also pleaded not guilty to an alternative charge of allegedly helping Tengku Adnan to allegedly commit the crime of accepting the RM1 million cheque as a public servant, when the latter knew that Tan as a director in Nucleus Properties had links to his official duties. He was charged with committing the offence at the same place and date under Section 109 of the Penal Code read together with Section 165 of the same law, which provides for a maximum jail term of two years or a fine or both, upon conviction.